The Mobile World Congress 2014 kicked off in its full force with manufacturers introducing a bunch of impressive products. Earlier today, Sony unveiled a bunch new of products, including the successor of their last year’s flagship, the Xperia Z2, as well as the affordable Xperia M2 handset. These are not the only products that saw the light of the day in Barcelona. Sony also unveiled a new tablet know as the Xperia Z2 Tablet, which they claim is the thinnest and lightest tablet in the market. 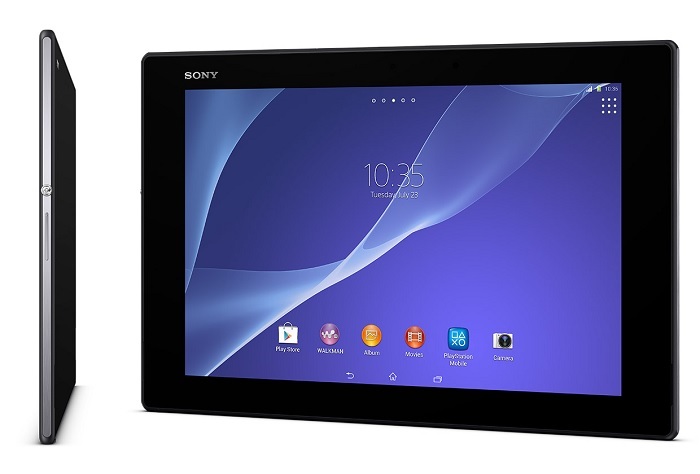 “The Xperia Z2 Tablet represents the pinnacle of tablet innovation and is a true flagship in our premium line. We have evolved our cutting-edge design to create the slimmest lightweight tablet matched with Sony’s latest technologies to deliver a unique user experience.And with our new range of dedicated accessories, you can further now enhance your tablet experience whether for work or play, at home or on the go,” said Kunimasa Suzuki, President and CEO, Sony Mobile Communications. Sony Xperia Z2 comes with a Full HD TRILUMINOS display for mobile with Live Colour LED powered by X-Reality for mobile engine sporting a resolution of 1900 x 1200 pixels, and is powered by a quad-core 2.3Ghz Snapdragon 801 CPU with Adreno 330 GPU and 3GB of RAM on board. That’s a pretty nice bump compared to Xperia Tablet Z which was released last year with a Snapdragon S4 Pro processor. Other features include a 8.1 megapixel rear camera for photos and videos with a 2.2 megapixel front-facing camera, optional 4G LTE support, IP55/58 certified making it dust and water-resistant, 6,00 mAh battery, Quick Charge 2.0 technology allowing 75 percent faster charging and runs Android 4.4 KitKat pre-installed out of the box. The tablet measures 172 x 266 x 6.4 mm and weighs only 439 grams. The tablet will be available in black and white color. 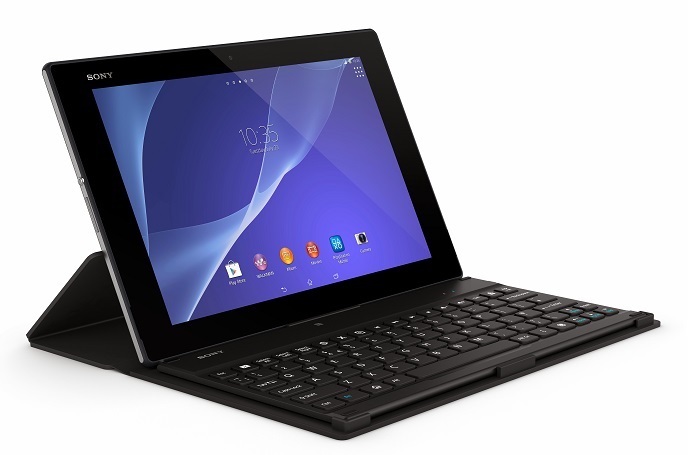 There’s no word about the exact release date or pricing of the tablet, but Sony said it will hit retail shelves globally from March 2014. We’ll update you as soon as it’s available for sale.